When my friends baby died and then was born she made sure she had things she smells that would always remind her of her daughter. I thought that was brilliant but I didn’t have that foresight. Except, I recently remembered that your nurse had a this orange oil she used to take off the tape from your face and head so it would hurt less. I asked her where I could get some, thinking about the bandaids your sister would inevitably have, and she didn’t know where I could get any. I had forgot all about that until I found myself wishing I too had a smell that reminded me of my time with you when you were in my arms. The other day, I decided I wanted a new essential oil. I went to the store and nothing spoke to me. But sweet orange oil was on sale for only three dollars and it’s “uplifting”, which I obviously could use, so I bought though it didn’t feel like the right match. Until today, when I took it out, put some on my temples and put the two together. It was the perfect match, as it turns out and now I have another small piece of you. Which like that altar, the tattoos, the pictures, the jewelry, all of the things I collect in an effort to . . . to what? Feel close to you? Have you back in someway? Feel less alone? Now, I have a smell of you. And I guess that’s all it is. 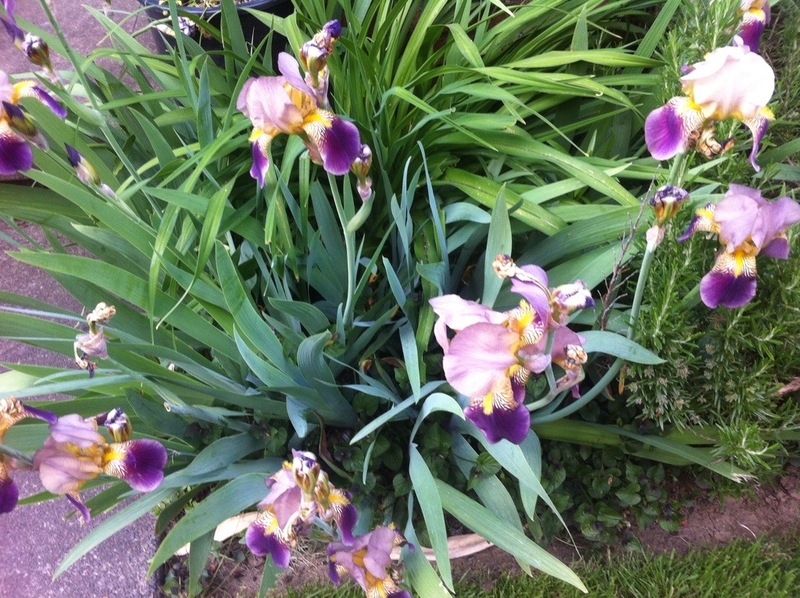 The irises are in bloom. I’ve never seen so many different color varieties: white, purple, brown, orange, yellow. Some are full, brilliant color. Some are outlined around their petals, some are shaded from the stem up. I had no idea there were so many different shades and combinations. I thought, if you were here, I’d point them out to you and say “See, Harv, these are Iris” as we walked by them, you tucked safely against my chest in the ergo. But I wouldn’t have done that. I never really paid attention to flowers and plants before. I’d be preoccupied in my mind, corralling Vesta, worrying over you, concerning myself with things I used to. I just see them and think about you. I have the leisure to look and notice and be slow now. The spring will always be you, slowly and beautifully coming alive for a short time before everything changes again.